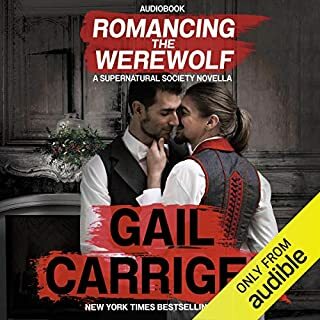 Gay werewolves in Victorian London? Why yes, yes there are. Biffy, newly minted Alpha of the London Pack, is not having a good Christmas. His Beta abandoned him, his werewolves object to his curtain choices, and someone keeps leaving babies on his doorstep. Professor Randolph Lyall returns home to London after 20 years abroad, afraid of what he might find. With his pack in chaos and his Alpha in crisis, it will take all his Beta efficiency to set everything to rights. Perhaps, in the process, he may even determine how to mend his own heart. Babies Ever After starting early? I love these novellas and the expansion on the secondary characters from the parasol protectorate. Please give me more!